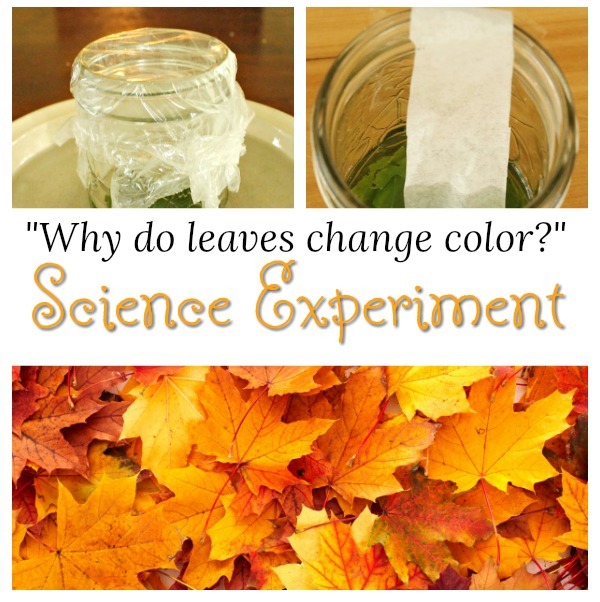 Science Experiment: Why Do Leaves Change Colour? Science experiments for kids are big in our home. My kids love them – and so do I. While teaching Kindergarten I made science experiments a priority. 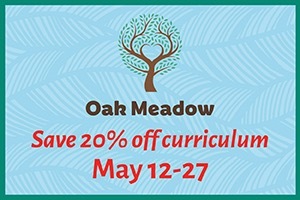 Kids are so naturally curious about the world around them and science experiments bring this learning fully to life. When asked by my daughter at age 3 (13 years ago! ), “Why do leaves change colour?” I had no answer. I looked it up, found it too complicated for a 3 year old, but explained the best I could and let it be. I was in Teacher’s College at the time, and wouldn’t you know a few weeks later we learned about (and did) a science experiment for kids about leaves changing colour. It made things so much clearer that I immediately did the experiment with Madeline. Please keep in mind this is my (limited) understanding having done the experiment and some research in that class. I’d love to share it with you. So …. Leaves contain Chlorophyll. Chlorophyll makes the leaves green and is so dominant that it covers up all the other colours in the leaves. To figure out what colour a leaf would be without the dominant chlorophyll colour, we can separate the colours by doing this science experiment. 3. mash and stir the leaves into the rubbing alcohol until the alcohol turns slightly green. Really give it a good mashing – this is key. 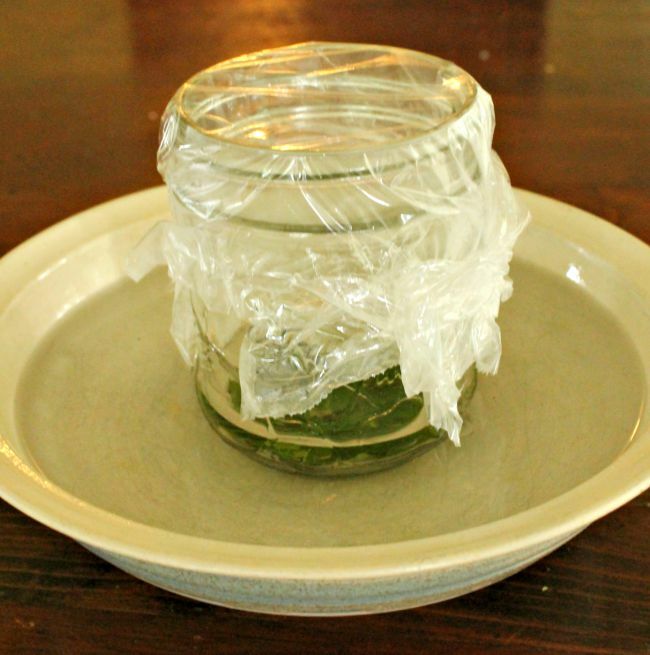 4. cover the jar with the baggie or plastic wrap and place the jar in a small bowl and pour hot water into the bowl. 5. leave (ha!) 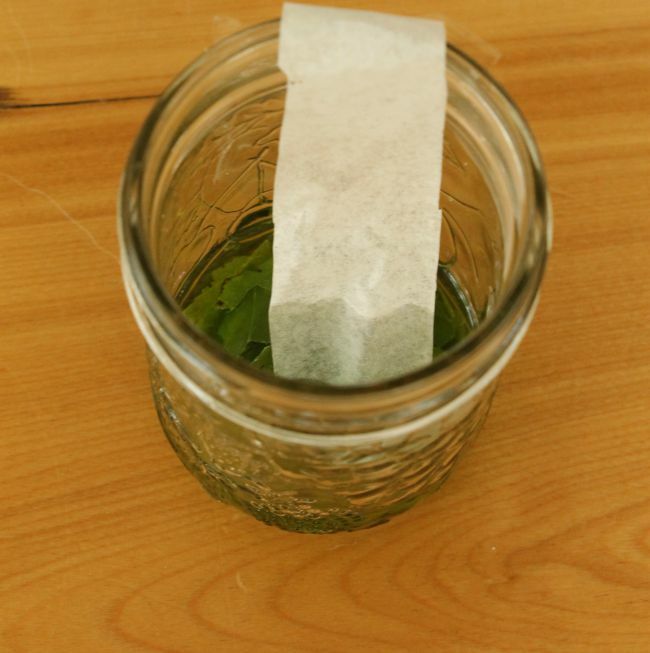 the jar in the water for 30 minutes, swishing the jar occasionally to stir the leaves a bit. The alcohol should be a very dark green (leave longer if needed). If you can resist, wait even 45 minutes or an hour. 7. The liquid will travel up the coffee filter and the colours will separate as the alcohol evaporates off the coffee filter. Let this happen for about an hour for the full effect. The leaves we used turn to a beautiful yellow in autumn. So … Why Do Leaves Change Colour? In this science experiment we used the rubbing alcohol and energy (hot water) to separate the colours. You likely saw green, and depending on your leaf type, maybe red, yellow, or orange. As we know, Chlorophyll gives leaves their green colour and is so dominant it hides the other colours in the leaves. But in the fall, chlorophyll in the leaves breaks down allowing the other colours to finally shine through and show their beautiful reds, yellows, and oranges. I hope your kids will love this experiment as much as mine. Science is naturally so hands on and relevant to kids real worlds. Even if your wee one is very wee it may be worth giving this one a go. I did it with my Sam and we spaced out the wait time with his rest time. Even though he did not grasp everything I know he learned a lot! If you and your little ones love science experiments, I hope you give this cool one a try this Autumn. And if you are not usually one for science experiments I hope you give this one a try all the same! It really is a game changer. Science is everywhere and is such an awesome way to build on children’s natural curiosity about the world. Thank you so much for reading friends, I hope you are having a wonderful week. I will write you again in a few days! Filed Under: All Ages, Explore, Get Outside, Grade School, Kindergarten, Kindergarteners, Learn, Other Learning Fun, Popular, Science, Science, Thanksgiving Tagged With: Fall science experiments, science experiments for kids, why do leaves change color? This is a great experiment. 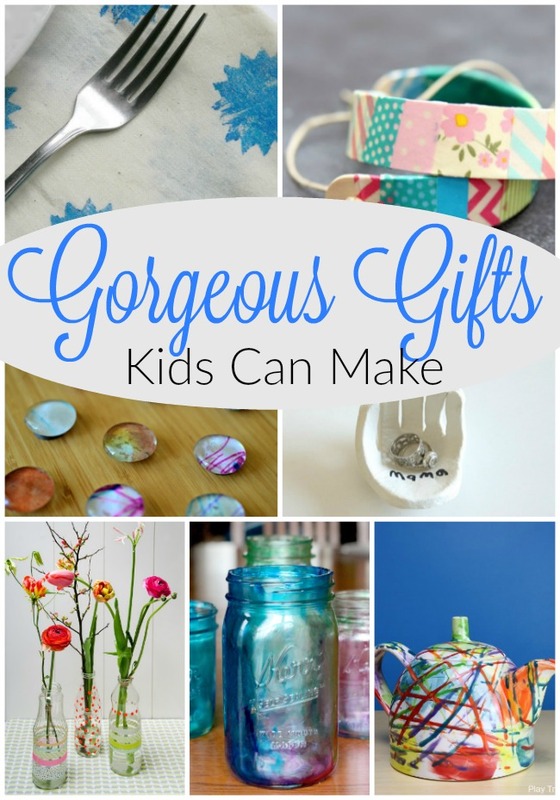 Not even just for the kids – I find it fascinating too! lol. Pinned it! my class is doing this experiment today. Ooooh what a great experiment. I’ve struggled to explain this too. Thanks Natalie! Yes, I have done this experiment many times – worked every one! It is important to really mash the leaves and be patient. I hope it works well for you – please come back to let us know! I will definitely head over to check out your experiment – we are always up for Science ideas! 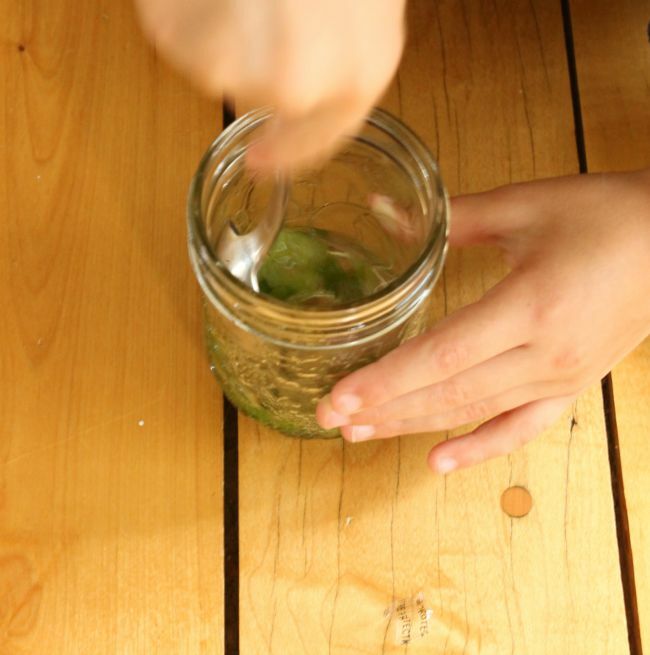 Thanks so much for sharing this great Science experiment over at After School! My pleasure – thank you for hosting! This is awesome! I’m adding this to my must-do list. My son would LOVE it! 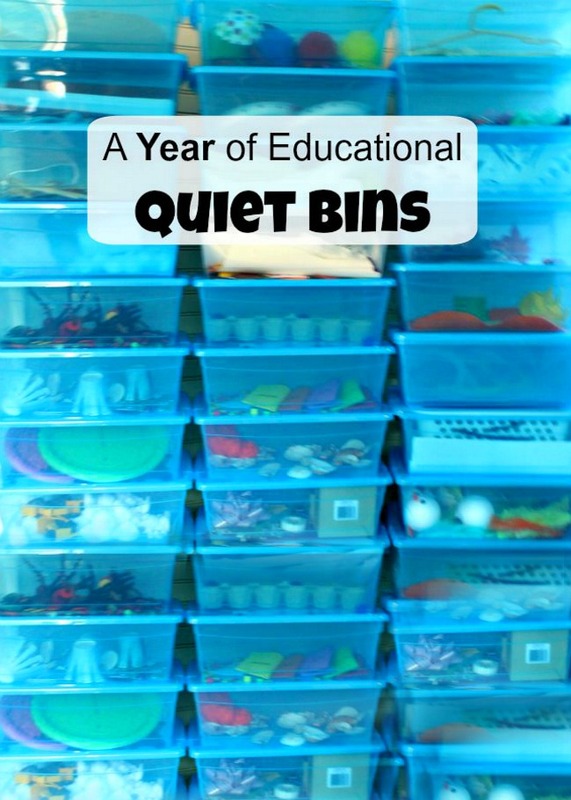 Thanks for sharing this at the After School Linky Party. I’m featuring it this week. Stop by tomorrow and share more of your phenomenal ideas! What a compliment – thank you! I would love to stop by 🙂 Hope you enjoy with your son … Gotta love Science!! Thank you so much for sharing this, Sarah! We went on a nature hike when the leaves were starting to change colour and I have been thinking that I needed to find something to explain to the kids why the leaves change colour. This is perfect! I found your post through the Mom’s Library Link-up. Thank you so much for the feature Erika! I love Science too. What a cool experiment! I am bookmarking this one for when the twins are a little older- they will love it (and so will I)! Thanks for linking up to Discover & Explore this week! It really is cool. Glad you think so too! Thanks for having me over to link. This is such an interesting experiment! I had no idea you could do that. I’m featuring you today in a collection of weather experiments for kids. Thanks for linking up to Discover & Explore! Wow! Can hardly wai to try! Oh I hope you do give it a try Barb! It is one we do every year … very, very cool! Fascinating – I don’t know about this one, but I certainly want to find out! Thank you for taking the time to mention it Gwen! I came across your blog earlier this week because my oldest asked why leaves changed colors. So, we did this experiment. They had so much fun! We ended up using the colored alcohol as a form of watercolor paint. Well we tried to, it didn’t work very well haha. So happy you found me here Chelsey! Glad your little ones liked the experiment. What a cool idea about the watercolour paint from the alcohol! wow. i love this science project. next week we are doing leaves for the theme of the week. can’t wait to do this with the children. they are going to love it. I bet you they will love it! And I am glad you sound so eager about it too – that will make them love it even more! It’s awesome – and so are you! Thank you for commenting! Something went wrong with our experiment. We don’t have any color on our coffee filter. I stewed it like you said. Should we take the coffee filter out of our jar and let it dry? Hmmm – rats! Sorry to hear! I don’t think taking it out and letting it dry will make a difference (however you might as well give it a try, perhaps you will e able to see a faint line) . Perhaps try again with more leaves, really really mashed. I promise it really does work! Sorry it didn’t for you – very disappointing! Thanks for your help! I think there is a VERY faint line of yellow. It’s hard to tell. I probably didn’t mash it enough. That’s okay. It was a learning experience for my son to figure out what to do when something doesn’t turn out right. Well I certainly love your positive attitude! I bet it will work for you next time – just mash like crazy!!! So glad you are excited! Hope you and your little one have fun! Hello. I would really like to do this experiment with some children, the only problem is that in my country we don’t have white coffe filtres. Can you recommend me something else to use instead? Hi Myriam – great question. I am afraid I do not know of an alternate, but perhaps somebody else will – anyone? I’m not sure if this would work as effectively – but if you give it a try, please let me know!! Thanks for the suggestion! Very much appreciated! Oh No! I hope it works for you. A few tips would be to super, duper mash the leaves, leave the filter as long as possible in the mixture, and use really, really hot water. We are in Canada and get a whole plethora of colours in the Autumn. I am not sure if it makes a difference – I hope it works for you! 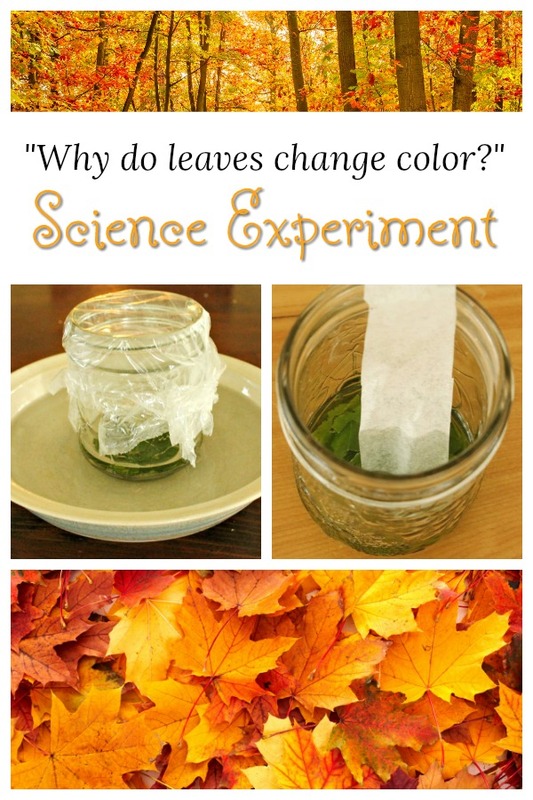 Have you tried this experiment with a leaf already changing color? If it’d work, it’d be neat to compare the filter strip of the green leaf to the changing leaf months later. Just tried this and made some modifications that worked really well, so thought I would share. I let the leaves sit for several hours in the alcohol (about 4 hours). Then I poured the liquid into a clear glass cup and added an equal volume of water. It was cool to see what the liquid looked like in the clear cup (it was brightly pigmented at this point)! 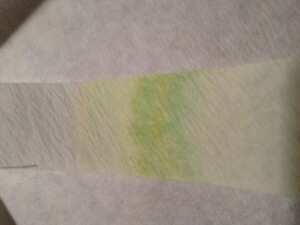 For the filter paper strips – after sitting for one hour there were some faint bands, but nothing impressive. 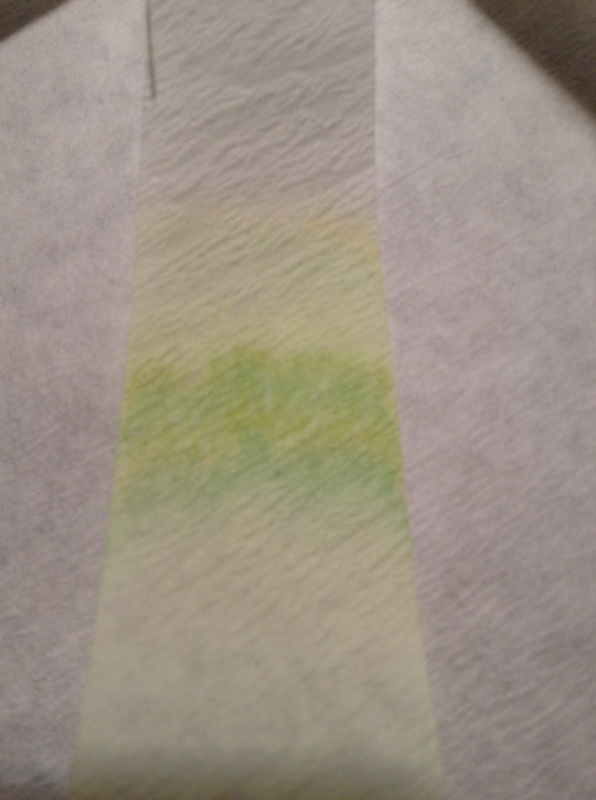 I let the filter paper strips sit overnight, and WOW – there were vibrant bands in the morning! I tried hydrangea leaves (green – turn yellow in the fall), and red maple leaves. The red maple leaves were especially beautiful – there was a thick band of purple pigment at the top of the evaporation line and lower band of green pigment. Hope this is helpful! Thanks for posting this fun experiment! Thank you so much for taking the time to add your modifications Abbi! That is wonderful example for Extraction and color chromatography.Thank you very much. So glad you liked the post – thank you for taking the time to let me know! Instead of rubbing alcohol can I use spirit or nail polish remover. I’m afraid I am not sure the answer to this question Sonali. Hopefully someone else will and will reply to your message. If you give it a try please let me know if it works. Thank you!